This post should really have been done around the time I was leaving for Chile, or just after I arrived, but we all know that was never really going to happen when I arrive in a brand new continent, with a week of intensive training followed by moving to my new city to call home for the next 8 months. There’s far too much excitement and exploring to be done to be sat in front of a computer screen! With this in mind, I’ll try to be as realistic as possible with my update on what I achieved before I left, if that’s when it should have been done by. My new year goals were to help me actually accomplish the things that I know I want to do, and by posting them on my blog it meant I’d have some kind of accountability and therefore more motivation to complete them. I have just finished my 6th book, so I’ll be moving on to number 7 once I’ve decided what it’ll be! If you’re curious about my reading habits then take a look at my Goodreads profile. If you don’t want to read about my reading habits then skip the next part of the post. I started off the year with “Incidents in the Life of a Slave Girl” which was heartbreaking at times but a good read. Then I moved on to the “The Piano Teacher“, a book that’s been sitting unread on my bookshelf for a while. I decided I should probably read all my paperbacks before I leave as I’ll only be taking my kindle to Chile. The story is set in Hong Kong, bouncing back and forth between two eras of contrasting events. Then, after watching the film “Mockingjay Part 1“, I gave the book a quick read because I wasn’t waiting to find out the end. It was the only one in the series that I hadn’t yet read, and it was easy reading compared to other books on my list. I like to mix my reading between a “heavy” and “light” book, so I normally opt for a young adult fiction in between bigger novels that are more complicated.Moving away from the more childish books, I started “Midnight’s Children” but set it aside after finding a wonderful bookshelf full of great reads during my week in the Lake District. Realising that “Lord of the Flies” is a famous book that I hadn’t read, and didn’t really know the story of I thought I should find out while it was there. Very glad I had the time to squeeze that in! Back to “Midnight’s Children” again but I just kept getting lost an forgetting the story I’d already read – a bit how I felt with “One Hundred Years of Solitude” – it was great when I had chunks of time to read, but not good reading a little here and there. Between preparing for Chile and arriving in Santiago, I was finding it harder and harder to continue the book. As I was busy adjusting to a new country and new life, I retreated to starting on some Terry Pratchett – books which were highly praised yet I’d never read them. Arbitrarily I chose “Small Gods” as my first and loved it. I’m extremely glad I started delving in to the Discworld and I wish I’d done it sooner – I think a Discworld story will be my go-to light-read in-between book now. To top it all off, I’ve even found a book to be my first in Spanish! 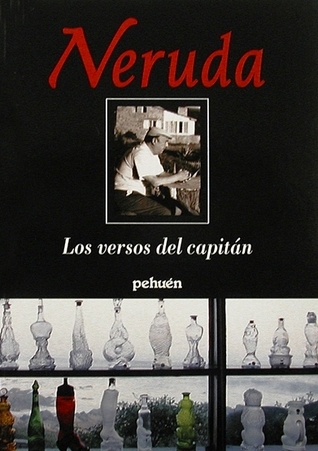 For my birthday last month I received “Los Versos del Capitan”, a book of poems by the famous Chilean poet Pablo Neruda. Reading this may need to be accompanied by a dictionary! We shall see! Living with another gringo in the house and 3 others in Punta Arenas means I’m not getting as much Spanish practice as I would in a small town with no other volunteers, but with an online Spanish course and finding some Chilean friends and hobbies, this is still achievable. Whether or not I’ll be understood anywhere else in South America is another story! I’m learning Chilean Spanish, which has a lot of different words and phrases to expressing things. Well not exactly, but the idea was to get me to explore more and I’d say what I’ve done is a success. 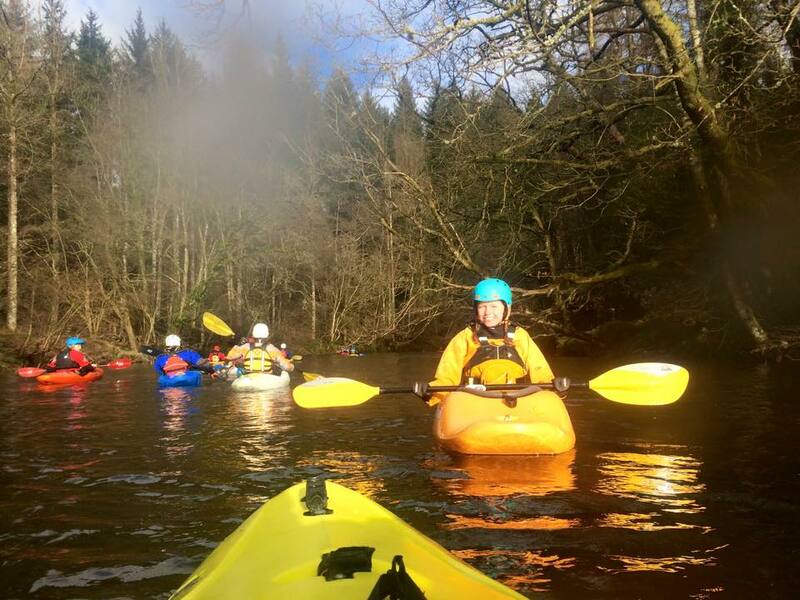 I enjoyed a nice rainy waterfall tour in the Brecon Beacons, went kayaking on new rivers in familiar places around South Wales and then an entire week of walking in the Lake District with my mum, exploring a familiar part of the country and discovering new places. 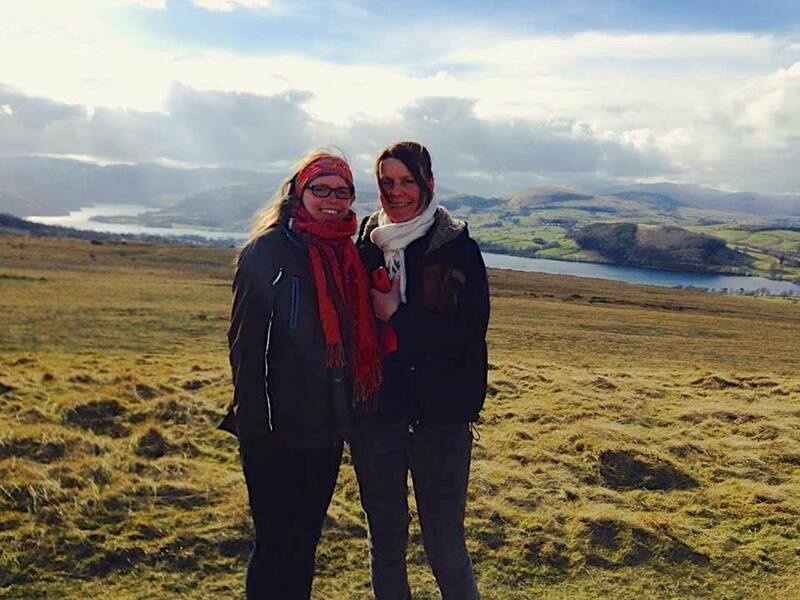 Looking over Ullswater, Cumbria, with my auntie who joined us for some walks. 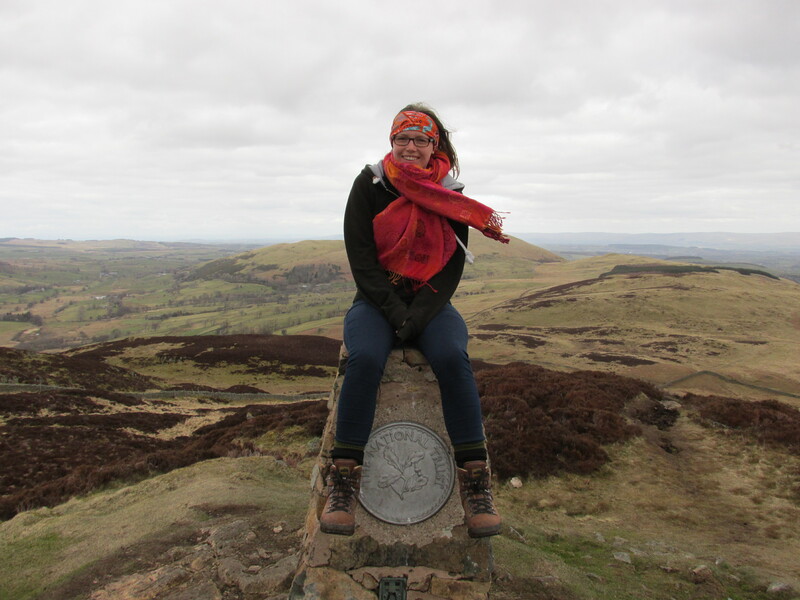 A spontaneous hike up Pen y Fan in wellies (most definitely not a new S. Wales mountain for me!) after driving past and seeing there was snow and a clear view! This was a complete success, and I beat my goal by squeezing in another one a week before I left! 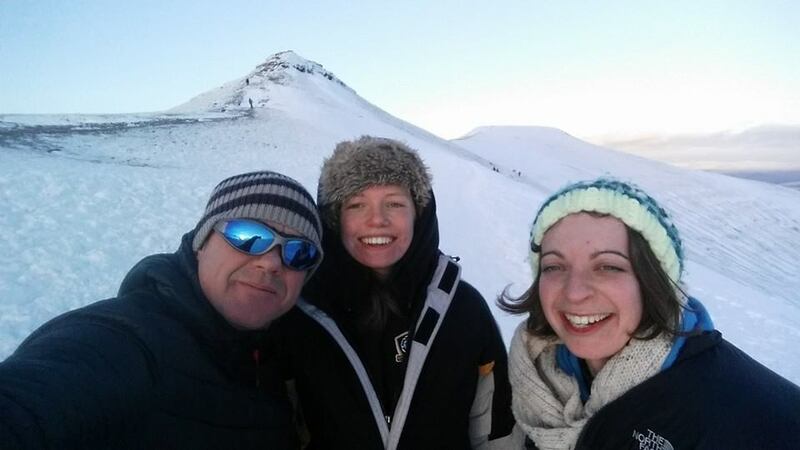 Oddly, the first one was the solo adventure, sleeping up in the Brecon Beacons with a blanket of snow. Then I gathered some new-found friends (from couchsurfing and the Cardiff microadventure group) for a solar eclipse adventure just north of Cardiff. After making one of my friends promise to try it at least once, I had time on my last weekend for a beach sleep out. One of my friends from school (who I used to go camping with a lot) also came, as she happened to be home from university that weekend! I don’t see this happening any time soon – it’s winter here and it’s getting colder, with very long nights. It doesn’t get light until I’ve taught my first 2 lessons of the day! 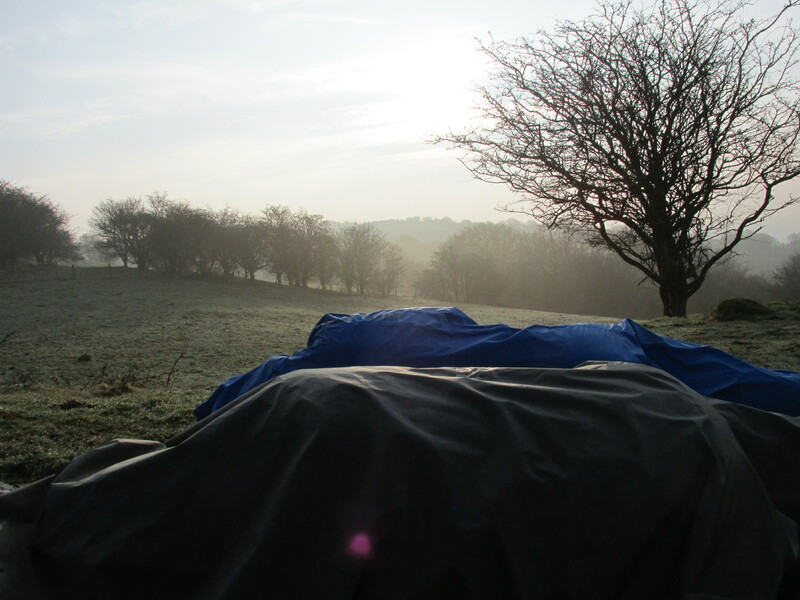 I also have none of my camping kit and the weather here is not the sort you want to be out in at night. Maybe I’ll stick to exploring during the day? I have no doubt that when the weather gets nicer I’ll be heading to Torres del Paine and Tierra del Fuego national parks, so I’ll have to try some multi-day treks then. 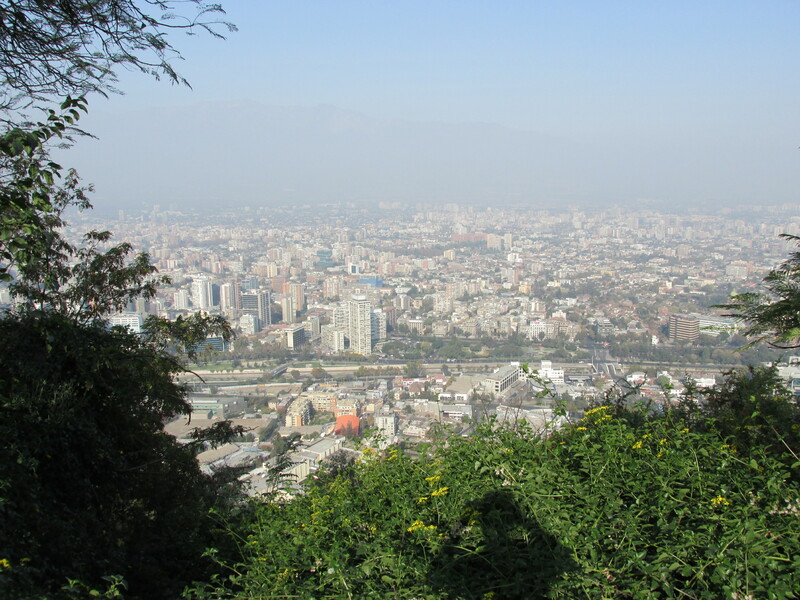 So far I’ve made it to the top of the ski slope hill, and hiked up the hill in Santiago but my only attempt at a mountain didn’t work as there was too much snow. It wasn’t a bad day though, I got to go flying instead! As I’m living in the Magallanes region with lots of national parks, I think I’ll change this to go walking in 3 parks, but even that will be difficult. I’ve so far tried to go to a National Park three times and they’ve all been shut due to snow! Overall I’d say I achieved my goals and progress for the others is going well. Having a list set out and published publicly definitely made me do more and made feel like I needed to do them. And I’m so glad I did because I enjoyed all of these adventures! My site also got an update, with a new look which I think is much better, and I hope you like it too. Considering I’m in Punta Arenas until November I should have more goals than to simply visit some national parks, but it’ll do for now. I’m trying anything new if the opportunity arises and will make sure to do all the touristy things while I’m here. Maybe I should start planning what I want to do after my teaching, because there’s so much more to Chile than just the far South!